Grilling fish is not as easy as it may seem, perfection lies in crisp skin with perfectly cooked, supple flesh underneath. Thinner fillets are ideal for grilling, as you won’t need to flip the sea bass during the cooking process. Cook for 4 minutes until the skin is crispy and the flesh is cooked through - it will turn a milky, opaque colour. 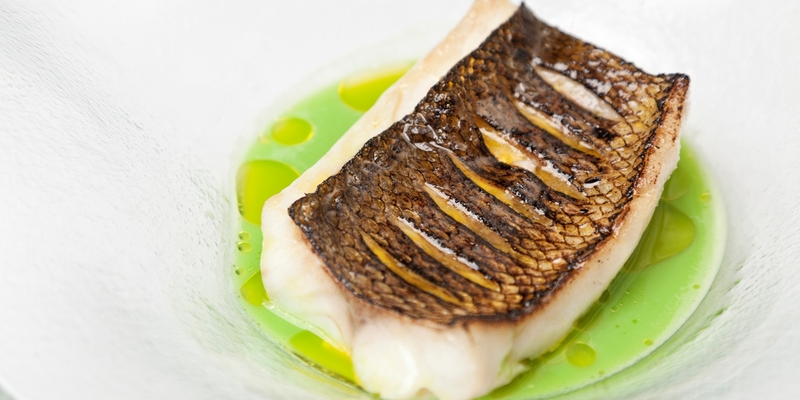 Try William Drabble's Griddled south coast sea bass with provencal vegetables and basil oil or Galton Blackiston's Wild sea bass with pea and mint soup.